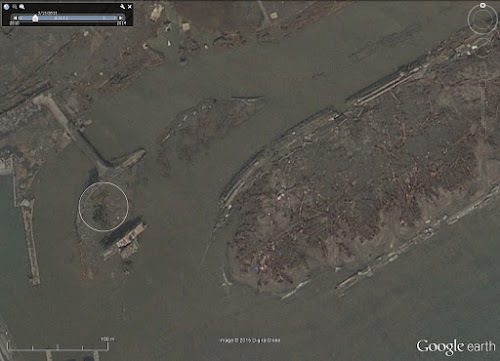 The giant tsunami generated by the March 11, 2011 earthquake of Japan, had destroyed almost every thing which came in the way of its 38.9 meters (128 ft) high waves. 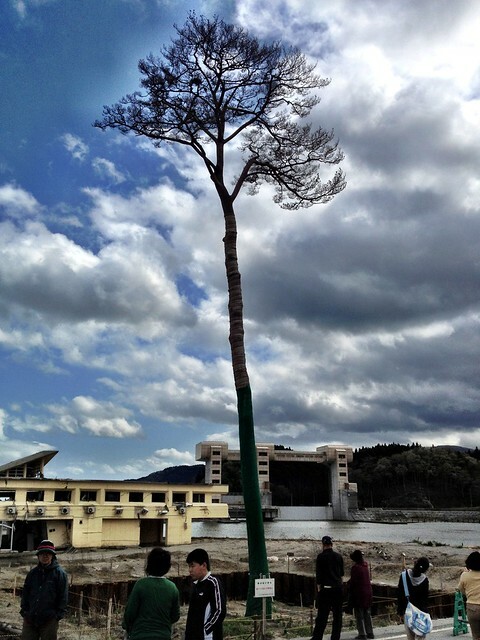 However one pine tree, out of the seventy thousand pine trees along a two kilometre stretch of seacoast in the Rikuchū Kaigan National Park, Rikuzentakata, withstood the murderous onslaught of the tsunami and miraculously survived. The 26.8 metre (88 ft) tall, 200 years old tree, which was only few metres off the sea coast, became a symbol of the resilience for the survivors of the tragedy. Remarkably this pine tree had also survived two earlier major tsunamis of 1896 (waves height of 38.2 metres/125 ft) and 1933 (waves height of 28.7 metres/94 ft). 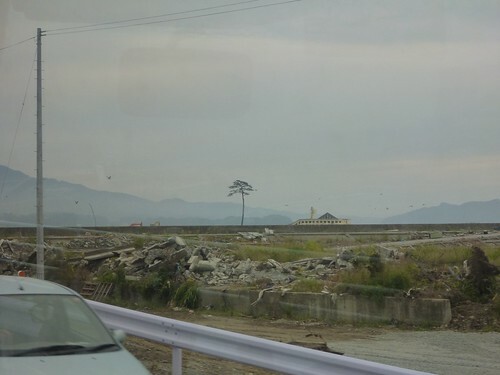 Though the tree withstood the 2011 tsunami, but soon it started decaying because of high salinity in the ground due to absorption of the inundating sea water. With the realisation that the tree cannot be saved and would ultimately wither away, it was decided to preserve the memory of this remarkable tree by replicating it and re-erecting it as a memorial to the to 19,000 victims of the tragic event. 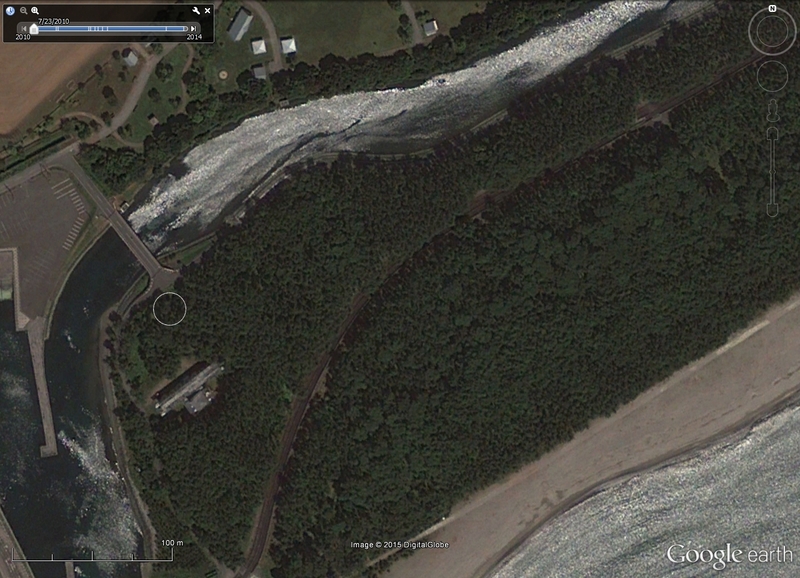 The tree was therefore cut in many sections and using these sections for creating giant moulds, it was recreated. 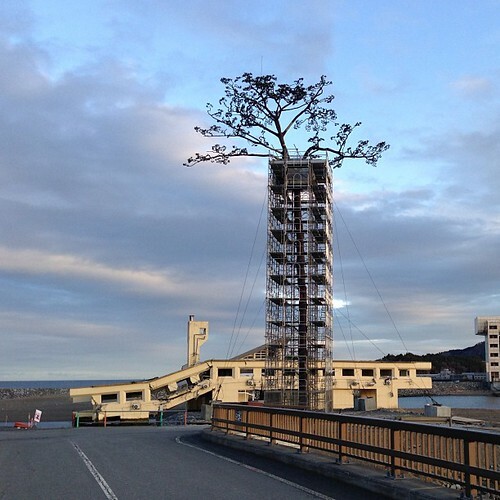 On the second anniversary of the tragedy, the artificial replica of the tree was unveiled at the same spot where the original tree had withstood the raging fury of the tsunami. Google Earth imagery of March 13, 2011 (2 days after the disaster) clearly shows the lone surviving tree in the white circular marker near the bridge.